Shares in Sirius Minerals (LON:SXX), the miner aiming to extract potash in an English national park, swung Thursday as the park authority accepted the company request to postpone its verdict on the mining application. The company’s stock price was down about 6% at 20 pence on the London Stock Exchange at 0850 GMT. Excluding Thursday's losses, they have dropped about 22% so far this week. Chris Fraser, managing director and CEO of Sirius, said in a statement the deferral was likely to extend the project timeframe. "Whilst a deferral will be frustrating to the thousands of supporters of the project, we must ensure the National Park is in a position to make a robust decision on the application and that all the key statutory agencies are comfortable with the extensive environmental information and commitments that we have provided," he said. The miner had expected to begin production in late 2016, with initial output of 5 million tonnes per year and had signed a few future supply agreements. The $2.7 billion (£1.7bn) York Potash project, posed to be one of the world’s largest deposits of the commodity, has faced controversy since it was unveiled in January 2011. The UK Ministry of Defence (MOD) fears the mine could interfere with its missile early warning system. There are also other concerns, including subsidence, vibration, frequency interference and the impact on water reservoirs in and close to the North York Moors National Park. Thanks to its central role in the production of fertilizer and thus in food production, potash has become one of the crucial ingredients of the world economy. Little known outside the commodities world until 2007, it got increased media attention when the price of agricultural commodities boomed, sparking fears over food security and highlighting the dominance of the market by two supply consortiums, Belarus's BPC and Canadian group Canpotex. 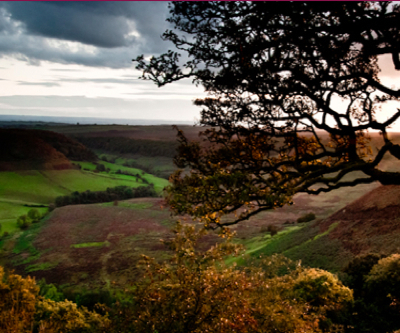 Image courtesy of North York Moors.